One of the most liberating draws of kayaking is honest, gritty exploration. 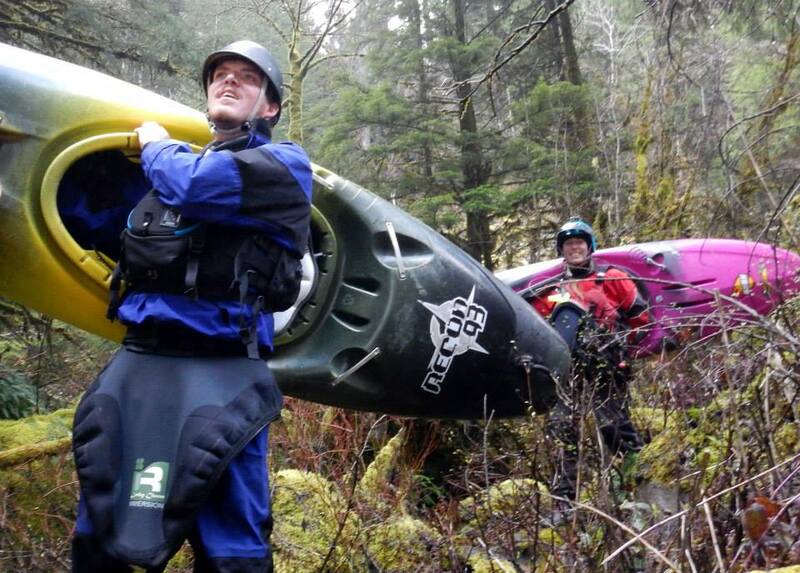 Once you have your gear and appropriate skills, the world of rivers opens up to you, calls you and invites you to play. These opportunities are endless, you don’t need a lift ticket and there’s always enough fresh lines for everyone. If you are looking to explore new rivers or simply enjoy more days on your favorite stretch, taking some time to reflect and plan your next adventure will ensure that you head to the river with confidence in choosing the “right” run. Paddling is always a personal choice and making an excellent choice involves three steps; knowing yourself, knowing your paddling partners and knowing the stretch of river you’re about to embark on. Knowing yourself as a kayaker starts with answering personal questions, “Why do I kayak? What class boater am I? Am I comfortable and confident self-rescuing? In what areas do I want extra support? Can I confidently lead others down a run or do I prefer to follow? Where in the world do I want to go? 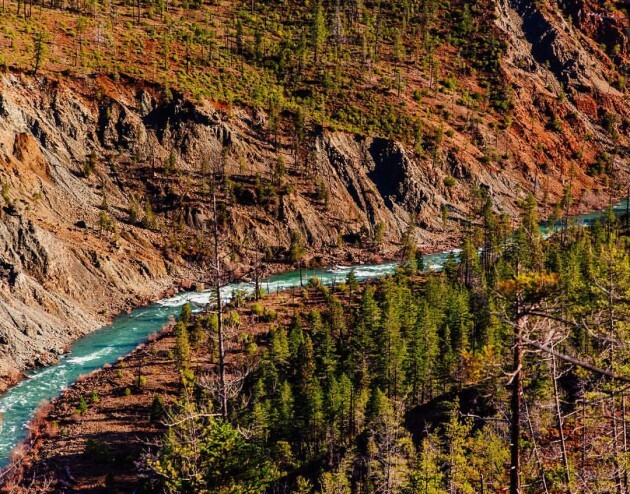 And what do I need get there?” Knowing your motivations and establishing your comfort level will lead to exploring river runs that offer the qualities you most crave. Wether you are looking for remote scenic runs, big surf waves, technical boulder gardens, flat water sprints for speed training or all of the above there are perfect rivers waiting for you. These personal preferences change frequently so stay in tune with your soul boater side and avoid jumping on a run solely due to peer pressure. The next step of choosing the right run is knowing who you are paddling with. 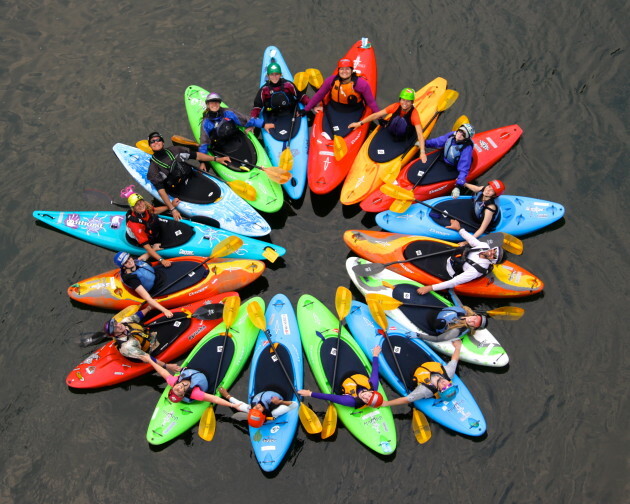 Find people that share similar motives in paddling and that share concern for the well-being of others. Some other important factors to consider are size of group, ranging levels of experiences and knowledge of the lines. These should always be known or communicated before you set out on your run. If you find yourself with a large group consider breaking into smaller pods for better coverage and spacing. Understanding who is comfortable and who may want a t-rescue in the middle of a rapid allows you to better prepare for success. However, keep in mind that even those comfortable with a run can swim, keep your eyes on your partners and make sure they are keeping eyes on you. You will paddle with wildcards, you may even be a wildcard yourself from time to time. I encourage you to think about what you love in paddling partners, exude these qualities and share them with your group. You are stronger with a team and a solid, trusted crew encourages you to try tougher moves or provides the support necessary to get on more challenging runs. Finally, know where you are going! Even if you have never been on a run, you should know the length, the difficulty rating, how to recognize rapids or portages, access points, recommended water levels and current water level, temperature of the water and other potential hazards. It is also important to distinguish between pool drop or continuous rapids. Rivers with a pool drop nature provide time between rapids for gathering up, waiting, scouting and catching a few breaths. 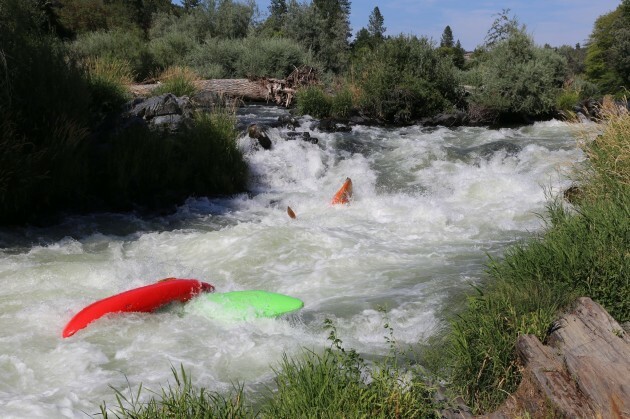 Continuous rapids increase the challenge of the run because is not as easy to slow down and if someone swims they may have a longer swim before getting to the side. If you are new to a run make sure you are confident with one of your paddling partner’s experience and knowledge of the rapids and have them help lead you down. In addition, there are online resources such as American Whitewater and Dreamflows that can keep you updated on water levels and river descriptions. It is recommend to acquire and perhaps stockpile guide books for research and daydreaming purposes. In the exciting business of planning where to go the concept of hurry does not belong. Understand how to build and develop your personal skills so that you are prepared for new runs. Make difficult moves on runs you are familiar with and use class II and III stretches as training before launching into a class IV or V. Gradual, thorough progress is key. 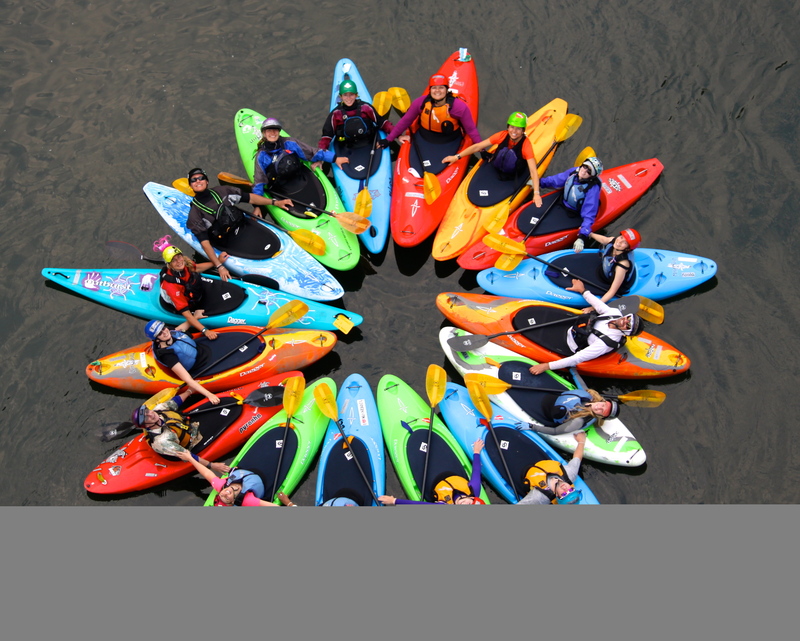 As you kayak more runs with a variety of people you can quickly determine if the run, the day or the group is appropriate for you and your kayaking desires. And sometime you have to turn down opportunities. The following questions are a shorthand for choosing the right run every time. Who to paddle with and who not to paddle with? Where to paddle and where not to paddle? Remember that kayaking can get you into many extraordinary places and hiking into a tiny stream and watching the flow grow as you travel down can make a life long memory but the decision to go is not formed on a whim. It takes a team focused on a common goal of not only exploration but also preparedness, safety and fun. Connecting with people while immersed in the wonders of nature is where my joy is generated. River guiding and kayak instruction has allowed me to earnestly say, “I love my job.” The river’s edge or suspended by its moving waters are the greatest places to be and I love sharing them as much as possible. “Rivers know this: there is no hurry.” - A. A. Milne Although I have lived in the Pacific Northwest my entire life, my first multi-day river trip wasn’t until I was in my early twenties. Shortly after, I became a guide with Northwest Rafting Company on the Rogue River. With help and support from amazing friends I also learned how to kayak on the Rogue and became a certified ACA kayak instructor. My first experience as an instructor was with Sundance Kayak School and First Descents and I am hooked! Kayaking has enriched my life and the inspiring people I have meet along the way have convinced me that it just keeps getting better! This summer will be my fifth season guiding with NWRC and my second season as an instructor with Team Sundance. I have had the pleasure of paddling just over 30 rivers within the United States and I am excited to see where else it will take me. Let's go boating! ← Loud Music Will Hurt Your Ears! Yes Mom…..